What is an Expire Header? But, this does not work on Google Minify. 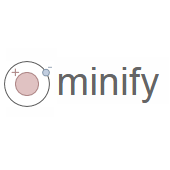 Minify is a PHP script that is combining, minifying, and echoing the contents of css and js files, but is not a CSS or JS file! The answer lies in Minify’s config.php file. Although the documentation does not mention it, this also controls the expires header! The above value is in seconds and works out to 90 minutes. Admit it – that’s not very far-future, is it? Et voila, the expires header for the minified css and js files has been set to a week. The value of the expire header in Google Minify is controlled in the $min_serveOptions[‘maxAge’] setting in the config.php file. Setting it to a ‘far-future’ value will help save your bandwidth, the users’ bandwidth, and reduce the load time of your website on users’ browsers.